If I was unscrupulous, I'd order a Vixen A80, test it against my vintage Lafayette Galactic, then return it within the vendor's time period... Might be out a "restocking" fee, but that's a small price to pay. My recommendation would be to find a Swift 831. 76mm. Very pretty and arguably one of the best optically for it's class. There has been a rumor (darn, this comment may drive the price up, or make them harder to find) that the objective was made by Takahashi. That's what it reminds me of whenever I see that pretty blue lens. Otherwise hold out for Royal Astro Optics. You can't go wrong with these in good condition no matter who has relabeled the scope. 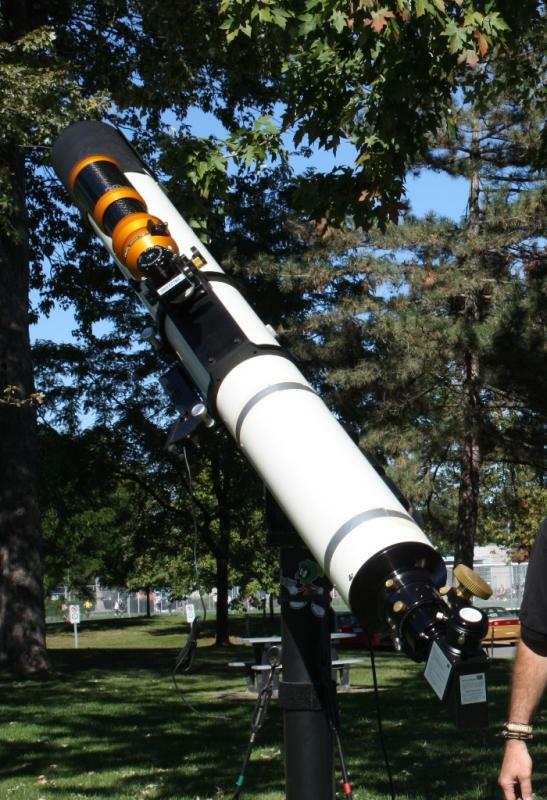 These telescopes have stunning optics. APL, HOC, and SYW are other makers to watch out for, regardless of the scope's brand. I'm also partial to Hiyoshi (cursive HOC), and the 30 year old Vixens. The 3" & 4" Edmund refractors are fantastic. The original mounts are plain Janes, but they carry these scopes very well. Edited by Bomber Bob, 04 October 2016 - 09:14 PM. I recently came upon a Tasco 49TR from about 1980 which was in new condition and apparently had never been taken out and put together. This is obviously a low-end alt-az scope, but I figured since it was Made in Japan and most things were metal it might be worthwhile. The mark on it is Diamond-Z, whatever that means. 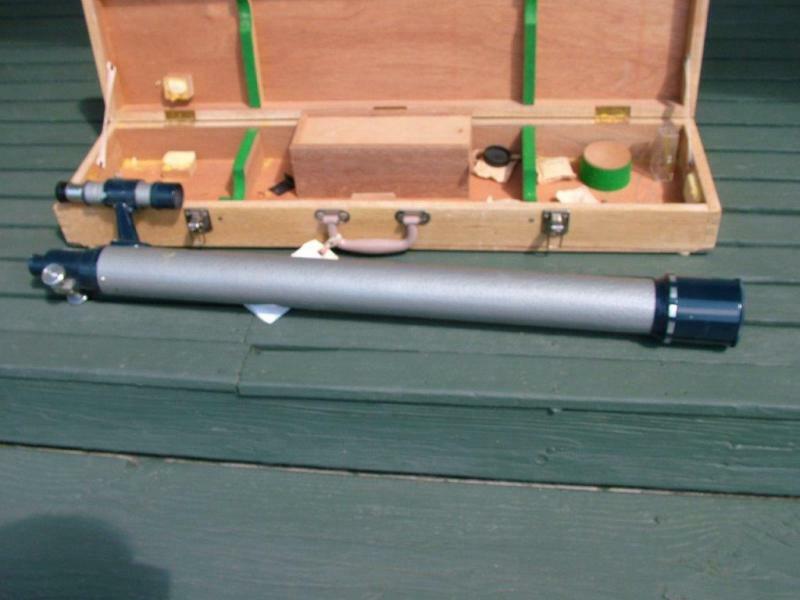 I don't collect telescopes; this is the only one of these old scopes I have and I only gave $20 for it. This telescope has to be the biggest piece of trash ever made. It looked nice in its box, I'll give it that. Even the color pictures on the box were conservative and made it seem better than it might be. But the mount is so sloppy and poorly designed that you really have to question what they were thinking. And, the still-sealed plastic baggies were missing the wing nuts. The set-screw .965 eyepiece ring would not stay in the focuser drawtube, even though the threads look fine. It's simply not made with close enough tolerance to really thread in right. The focuser has two very rough spots in it, even though the rack/gear look fine. The scope is so nose-heavy that even wrenching down on the two Alt thumb knobs won't hold it up for long! And, the already tiny finder is stopped down so that the aperture is only around 3/8"! You don't even want to know about the eyepieces that came with it! I did some work and got the scope usable. The most interesting thing I've seen are the out-of-focus images of bright stars. I have never seen such a beautiful bulls-eye. I think the only way I'd want anywhere near a 60mm these days is if it were very short focal length, though. After using big reflectors for years, the scope seems very dim, and most stars are not there. Views of Saturn were as good as they could be, though. Very sharp! I never sold my .965 eyepieces so I have many, from Kellners to Orthos to Plossls. One thing I had forgotten was the way of using these scopes on such poor and flexible mounts. You kind of point the scope, then eyeball through the thing and wiggle until you see what you are looking for flash by in the eyepiece. Then, you know what direction the target is in so you push a little harder to try and get the scope to move there - but not too much. It all feels very "elastic." Thanks for the tips, folks! Really appreciated. I've a gap in my kit right now for a refractor, and you've convinced me that I want to fill it with a vintage Japan model - probably 60mm-76mm. But I don't want to collect or cycle through twenty of 'em looking for that perfect "one". Knowing which brands have the best odds of being good performers helps me scan the ads - and jump on a deal, if I see one - with greater confidence. The last two make them perfect for my backyard observing situation! Most importantly tho! All telescopes are time machines in that they allow us to look back into the past as we span distances across our galaxy and beyond. But to me these classics are real ‘wayback machines’ in that they can put us in touch not only with the past heritage of many of the great amateur and professional astronomers who discovered so much when looking through these simple achromats, but they can also put us in touch with our own past as well. When I look through one of my classic refractors, I am again that 14 year old kid that gazed through the telescopic looking-glass and was filled with wonder and awe at the magic before me. Edited by terraclarke, 05 October 2016 - 02:17 PM. Thank you, Terra! I'll take your 10 reasons over a brand new go-to with its 1.6 Gagillion Object Database any night of the week. If that is what you were aiming at, here's another choice to keep an eye out for. 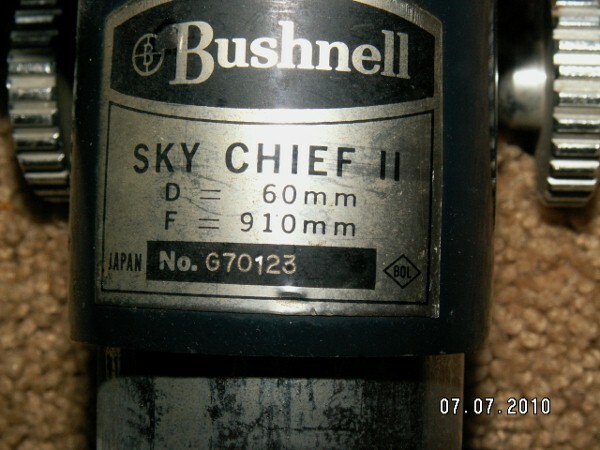 I can't speak for all of the Bushnell Sky Chief versions, but if it hasn't already been mentioned, the hammered silver with blue version is great. I haven't directly compared it to the famed HOC/APL Mayflower/Shrine Manon, but I bet it is comparable. I'd probably recommend most the Swift 831 others have championed, but I don't have any experience with it. Probably been mentioned once or twice before. Maybe not lately though. The BOL's are pretty good too. The things I love about the modern optics. The 4" APO I can carry outside with one hand. The mount I put it on I can carry outside with one hand. Plus, I can use it on anything I want. Deep space objects, planets. moon and so forth with no color at all. Also, can be pushed to powers normally no achromat can match. Also, takes wonderful images. And at F8 is the perfect all around scope. What scope am I talking about? TMB 100/800. Cannot say enough about this scope. Rivals the Zeiss APQ and anything else out there. Best scope for the money. one of my modern or home brew mounts. I don't want to build up a stable of .965 eyepieces so should I get a .965 to 1.25 inch adapter? Or should I use a .965 to 1.25 inch diagonal? I've seen a lot of good reviews on tasco 7te-5? The Tasco and Mayflower refractors are outstanding! Practically no difference between f/16.6 and f/15. The quality of the individual lenses is far more important than this slight difference in focal ratio. At 60mm, f/15 is pretty darned well corrected. If you move up to 76mm to 80mm, then there is a difference between the f/15 and longer focal ratios. Also, while the vast majority of .965 EP's are best used as slingshot ammunition, there are very fine ones out there, too. Tani (T) and Vixen are still plentiful, and there's nothing wrong with orthos made by either, and the high-end ones by Zeiss and others are stunning. The optical quality of those older scopes is more variable than modern ones, though, you might have to bring a couple back to life and compare them to find a winner.....but the second-best will likely still be just fine for giving to the interested kid down the street. Generally, avoid stuff on yoke-mounts..... and local sources like Craigslist can often produce the best bargains. I can give you a direct comparison. I have a very fine Meade 90mm f/11 of modern (90s) vintage, surely made on a machine. It is very well polished and has good MgF2 coatings. It has a slight zone issue near the edge which subtracts a little spherical correction. The color correction could hardly be better for a 90mm f/11. Whatever is lost in spherical correction from an imperfect figure is very slight - I followed the Saturn ring plane crossing a few years ago and saw the rings while Saturn was low in a murky sky, right up to the day before crossing. Even better - I had that scope out one night looking at Jupiter and noticed a small dark spot near the middle, which at first I took for a shadow transit, but that didn't seem right given the disposition of the satellites, and I soon realized it was actually an impact artifact - rushed inside to confirm and sure enough.. Anthony "Bird" Wesley in Australia had already captured it with his 14" Royce a few hours earlier. In other words, that's a really, really good optic. That said - all my 4 classics - a 60mm Towa, a 50mm Towa, a 76mm Royal Astro, and a 90mm Royal Astro - easily outperform it for spherical and color correction. I really have a hard time understanding how the Japanese techs produced so many fine optics. I can add a 5th, the Sears 6344 I had as a kid, also RAO, which had a textbook, completely hairless diffraction pattern (I didn't have anything else to compare it to at the time!). You get the feeling that human hands were all over these old scopes. No two even of the same model are exactly alike. I don't know how much hand figuring they did back in the 60s but surely, at least for the larger scopes, it must have been considerable. Edited by deSitter, 13 January 2017 - 09:22 AM. The 6339s were RAO but the 6344s were all SYW. Last year I did a double pass test on a few of my vintage refractors. Found my notes last night. Never did take any pictures. Green LED and a 100 LPI grating. Most of them were OK. The Zeiss 60mm looked perfect as did the Warren 60x800. Losers were a Carton 60x900 and another old 60x900 lens. My 80mm's tested were Meade 80mm F11 Towa and Celestron C80 80mm F11. Towa was good, no other note. C80: Ruler straight lines looks perfect. Had a A80 Mwt Vixen a few years before and the test on the newer Vixen wasn't as good. The older Vixen 80's was definitely better than the 2012 Vixen Japan. I have a Celestron Chinese made 80mm F11 at my mom's house and that one is not very good. No test, but the optic is not close to either Vixen. It's one sample, but it is a data point for three of the same size and type of scope. Not surprised Marc. My Vixen/Japan C80 is amazing on the planets this past year. I am looking forward to doing a side-by-side with the Tak FC-76. I know the Tak will win but the C80 is no slouch. It's as good as my 1950s 3" Unitron, maybe better. I am surprised about your Carton. I have a Carton 60x1000 that is on of the best 2.4" refractors I have ever looked thru. It was better than my 60mm Goto when I did a side-by-side. Edited by terraclarke, 13 January 2017 - 10:28 AM. In regards to the first question (I guess another way to ask the same question would be, what's today's closest analog to these classic fracs optically, and what are the differences? I'm guessing it's mostly mechanical, right? Plastic focusers, etc.?) the huge difference is the quality of the lens. If you have a quality lens everything else can be upgraded but if the lens quality is poor then you are dead in the water. I just picked up a brand new Carton 60mm by 1000mm lens. I have a brand new Celestron 60mm by 900mm OTA. when I took the lens out of the Celestron I was floored. The carton lens was 1/3rd thicker! It was clear and bright white looking at the lenses from the side. the Celestron looked dark and rough from the side. I few days before the carton arrived I performed my very scientific squirrel nest test with the Celestron. Out my back window there is a squirrel nest about 100 yards away high up in the middle of a tree. I will focus on the nest. 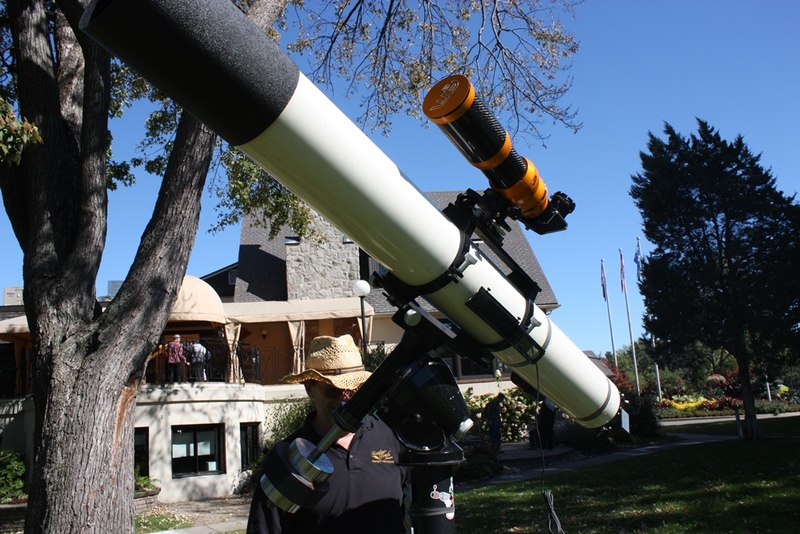 This is actually a good way to see how a small refractor will perform. There are limbs in front and behind the nest plus sunlight so CA is thrown up quickly. There are some items the squirrels have taken up to their nest so resolution on those items is another key issue. with my Jason 313 at 90X the nest was clear I could see every leaf and detail with no hint of CA the colors were dark and rich. With the Celestron CA was quickly evident with purple fringes the image was not sharp colors where washed out and I could not discern the hose clamp up in the nest. I have not had a good day to test the Carton yet. Now the Celestron is inexpensive and would probably do a fine job out under the stars if it was the only scope I could afford I would be happy with it but it is an average lens not a premium lens. Thanks! Enjoy it while it lasts. I'm slowly whittling down on the collection... tougher than you might think. I was surprised about the Carton as well. I replaced the lens with another I had in the Box O' lenses. That one looked identical and may be a Carton as well, But the images are very good with the replacement. Haven't tested that one. My optics bench(large work bench) is now an aircraft building area. Aluminum swarf isn't good for optics.